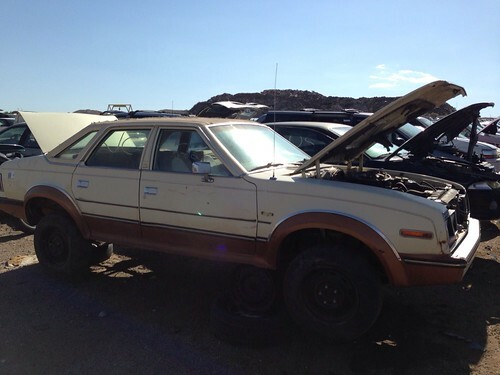 Found this 87 AMC Eagle 4dr sedan at the upullandpay in ABQ, NM. I have already pulled the driver side window and both the front door interiors. I will be going back tomorrow or next weekend to pull the back door interior panels and both front seats, but if anyone else wants me to pull anything for them I can (within reason). The salvage guy i talked to said this was probably the first parts pulled from this car and it has been there 10+ years. The interior is in very good shape (some dash cracks from the NM sun and dryness) but not bad. No rust but exterior appears to have a bent a bit. Wow, 10 years!? 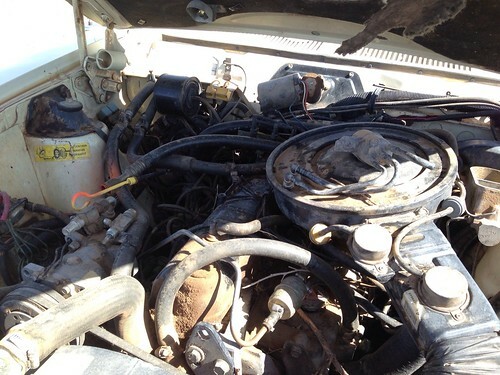 Many junkyards keep the cars out 90 days max and then crush them. Do yourself a favor, if the exterior door handles seem to work properly grab them for yourself. You'll need a small Torx bit to remove them. Yeah, I'm with eaglefreek...can't believe they let this sit for 10 years without scrapping it. That center dash pod might be worth taking. It allows people to swap in the newer style single din headunits without cutting their factory dashes...don't remember what year they switched away from the post style radios. Other things worth taking if they are in good shape. Bumper end caps, Headlight buckets if the mounting tabs aren't cracked/broken, maybe those floor mats. 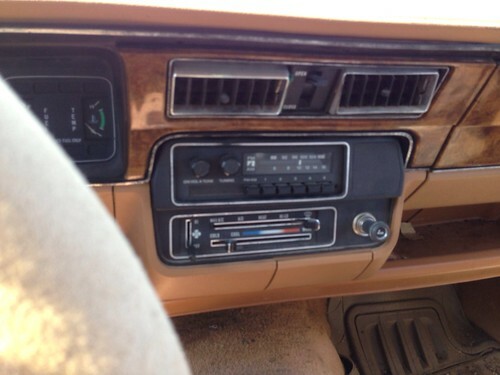 85 was the first year for the din style radios, but they might have used them on some 84's? True...if you have the money and the space take everything you possibly can! Weren't there less than 500 1987 Sedans made? 454. i had 1, than gave it sort of to another amc nut. I pulled all the driver window, all interior door panels, and various knobs and interior parts this weekend. I didn't have time to pull the seats, but I will be heading back this weekend for those, and probably some additional knobs and doohickeys. I'll try to grab that center dash pod as well (probably that amc factory AM/FM along with it) Now that the driver window is out, I'm afraid the interior will start to go quickly. The mats look like aftermarket (they say michelin on them) but they do match the interior. Not sure if they are worth them. I pulled all the badges I could and the guy gave me all of those free of charge. AFter all is said and done, I should have 2 extra emblems probably. I'll inventory anything extra I pull and list here, but it doesn't look like anybody is looking for anything specific? I would also recommend grabbing the outside door handles. they are not easily found anymore, and tend to break easily.